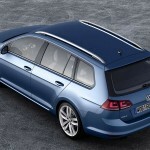 These are the first official images showing the Estate version of Volkswagen’s seventh generation Golf. No facts, figures or specifications have been released, but customers can expect the same range of powerplants, such as a the 1.2 and 1.4 TSI petrol engines and the 1.6 and 2.0 TDI diesel units. 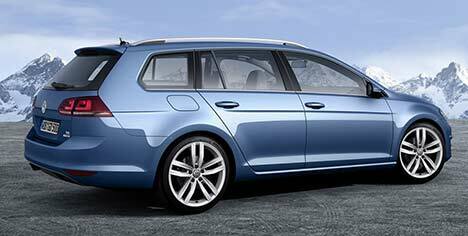 The model pictured here is the 1.4 TSI BlueMotion, which develops 103 kW (140 hp) and 249 Nm of torque. 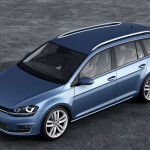 As the current Golf hatchback enjoys an extra 30 litres of cargo capacity over its predecessor, owners can expect to have around 1,850 litres of space to throw a couple of decomposing hitchhikers into.